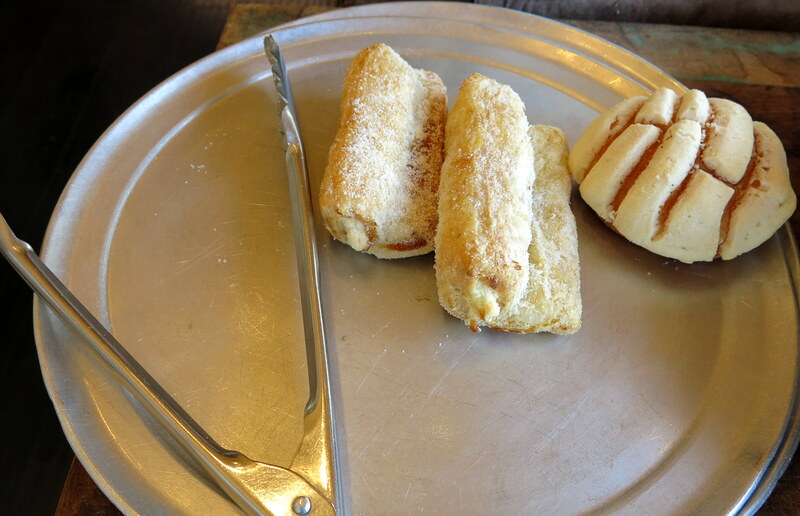 When I stopped in at La Monarca for a couple of my favorite pastries in all of Los Angeles, the taquitos with guava and cheese filling, I realized that I need to share this delightful cafe and bakery with my friends and others who enjoy authentic Mexican pastries. La Monarca has several locations around L.A., but the one I go to is at the corner of Wilshire and Euclid in Santa Monica… not a neighborhood known for its Mexican cuisine. 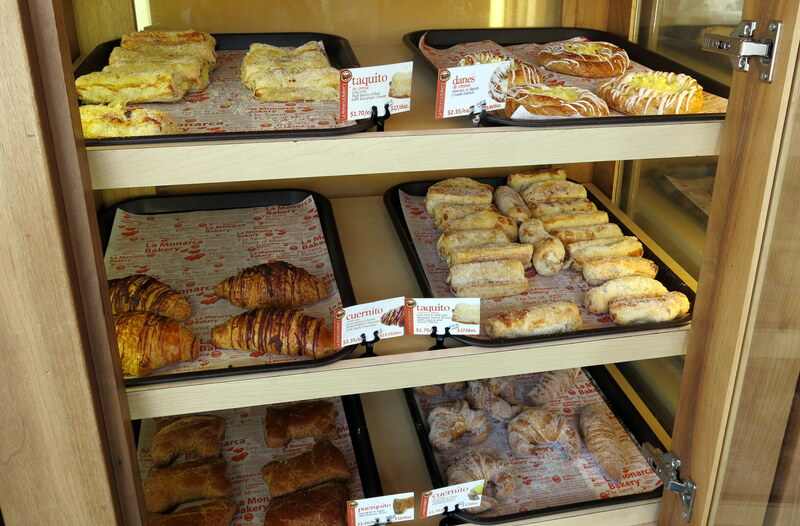 The pastries are always wonderfully fresh – I’m so obsessed with the guava taquitos that I haven’t yet tried all of the varieties, but I can strongly recommend the conchas, wedding cookies and café de olla. 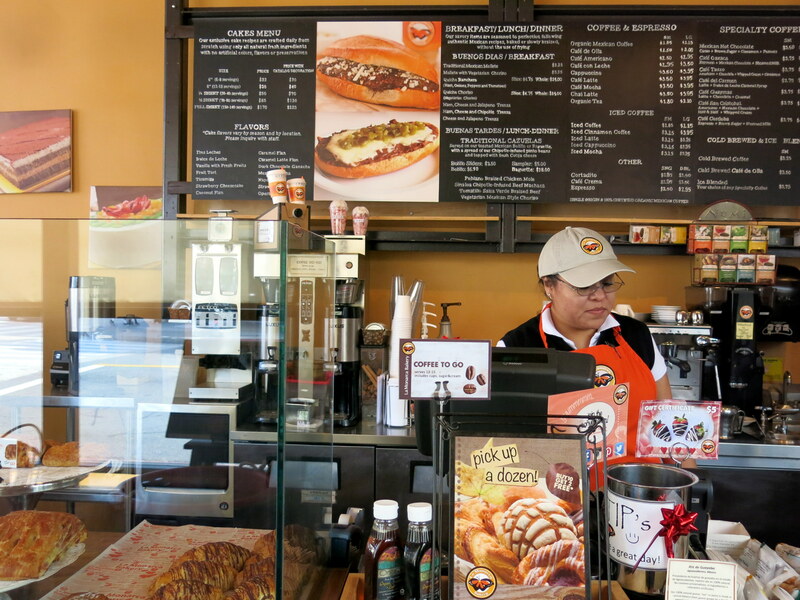 It’s a friendly place with a warm atmosphere and great coffee. 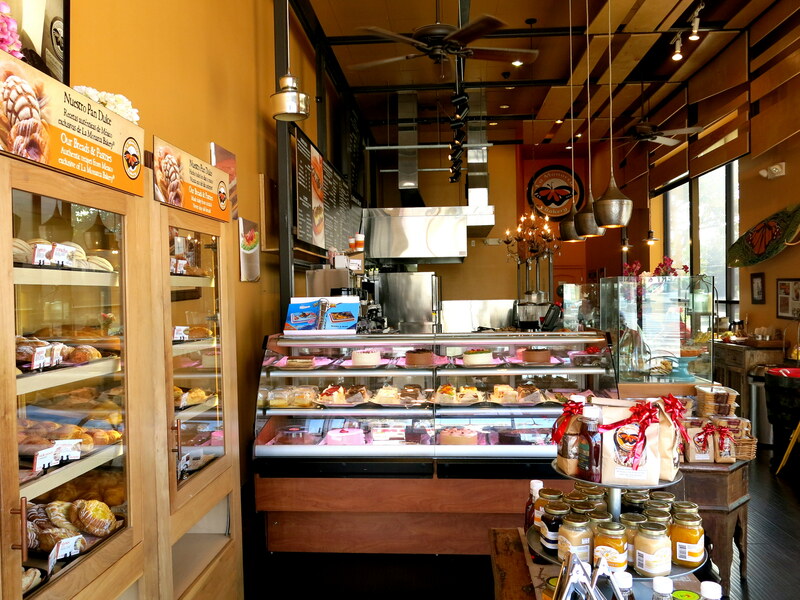 I stop in whenever I’m in the neighborhood… In fact I think La Monarca is the reason I never changed my dry cleaner on Euclid Street when I moved away from Santa Monica a few months ago. This entry was posted in Food! and tagged Mexican bakery, pastelerias, Santa Monica by brucecritchley. Bookmark the permalink. Jeez, you make me want to try it. Sounds great.